Wacl event also tackled the pay gap and the broad range of initiatives launched by companies. Mark Read, the chief executive of WPP, says the business is in the midst of a generational and cultural shift as it tackles gender inequality. 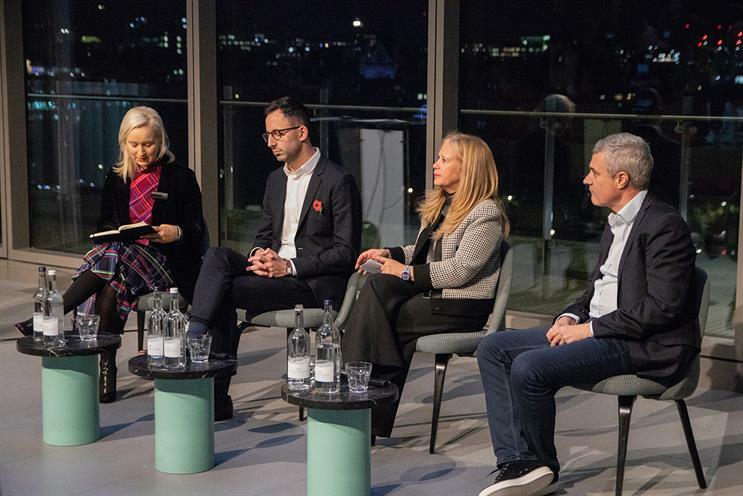 Speaking at a Wacl event to launch its report into the industry’s gender "leadership gap" produced in partnership with LinkedIn, Read shared the challenges WPP faces in achieving gender parity. He pointed to the need for a "generational shift" in the way the business was managed and a cultural shift in the organisation to drive a more inclusive culture. "Half the people in WPP are under the age of 28 and we need to understand what they want and what they need to succeed," he explained. According to Read, not only is this the right thing to do, but clients are also pushing for change and asking what the company's policies are, while at the same time there is competition for talent from the likes of Google and Facebook. "Logically, men and women are equally talented, [so] we should be 50% of the workforce [being made up of women] all the way through. There is a business opportunity for WPP. If we lead on this, we can attract the best talent, which is a business imperative," he added. There is no silver bullet to address gender inequality, Read said. Looking at the range of initiatives across the network, he shared his concern that the volume of things they do may be part of the problem. "We have initiative-itis," he said. However, he singled out the "Walk the Talk" programme, launched by Lindsay Pattison at Maxus and brought over by Read to Wunderman when he was its chief executive, as a successful and impactful initiative. Already, 1,000 women across WPP have taken part in the programme. One of the core purposes of the initiative was to help women understand what it means to "bring their whole selves to work". Rather than being skills-based training, the shift is attitudinal, giving women the confidence to ask for what they need. Read gave the example of a woman asking her boss if she could come to work a bit later so she could take her children to school. Read rated WPP’s progress on gender equality over the past five years as "good but not good enough". While he did not advocate targets, he stated that interview panels should never be men-only and nor should candidate shortlists. In contrast, Melanie Richards, deputy chair at KPMG, said that until you start getting businesses to perform to a KPI for diversity, you don’t get traction. KPMG set public commitments to change. "The biggest challenge we all have around this issue is ensuring we are measuring on outputs, not inputs," she added. The panel also addressed the issue of painting women as a the "problem", meaning women are not only subject to inequality but are soley responsible for fixing it. Richards warned that one of the things the industry needs to be careful about is ensuring its approach is not to "fix" the women but to change the environment. "There is a lot of mythology about why women leave businesses and it's often associated with having children. It is is often a myth; actually, they opt out of organisations because they couldn’t see a purpose or they didn’t like the culture," she explained. Richards also cautioned that it doesn’t matter how passionate leaders are about changing the culture if the micro-behaviours people are experiencing on a day-to-day basis don’t reflect that change. On the topic of women being statistically more likely to leave the industry, Read also highlighted the fact that the reality is more nuanced than women simply leaving to have children. He pointed to WPP data showing that 52% of women at the company come back full time after maternity leave, while 42% come back part-time and 6% leave. He explained that WPP is looking at new ways of working and benefits policies to address the fact that the rules of work were historically created by men. Yet it is a change that isn’t always easy. "Emotionally, rightly or wrongly I have a problem with working from home, but I’m working on it," Read said. The impact of finance on decision-making was also a key theme of the evening. Read shared how the finance department at Wunderman US had calculated the costs of introducing shared paternity leave and flexible working to show how that would hit the bottom line. However, Read added: "Whilst you can measure the costs of the policies, what you can’t measure is the cost of not doing them and replacing those talented women." Read also touched on the dominance of finance roles in senior leadership and at board level more broadly. He said: "It is a terrible disease of British business that finance is taking over. CFOs measure the numbers – what marketers and creatives do is much harder to do." Pointing to the US, he explained that marketing roles there have greater sway in the boardroom. Citing examples of brands such as Innocent and the many examples of people in marketing launching their own products, Read said: "We can create value, much more value, than other parts of the business. Growth comes from creativity and good ideas, and this is what we do." The panel also addressed the gender pay gap. Josh Graff, UK country manager and vice-president of EMEA at LinkedIn, said the company has introduced a new policy that means candidates do not disclose their current salary. LinkedIn has also created more transparent banding around salaries. Both are initiatives that try to level the playing field for men and women. In addition, LinkedIn is taking the same "diverse by design" approach to its own algorithms on its platform. According to the company, in general women list 11% less skills than men, their introduction is more truncated and they miss out a chunk of their career history. According to Graff, this influences the algorithms for matching potential roles, so LinkedIn has tweaked its algorithms to remove that built-in bias, as well as working closely with recruiters to ensure they can communicate as successfully with male and female candidates. Read emphasised that the gender pay gap varied significantly by company. However, he added: "We need to look at the companies where it is not right and it needs to be tackled by a leadership perspective at those businesses. Sometimes, it is to do with this history of the company and that needs to be addressed." He was clear that the generation coming to the fore today takes a strong view on the gender pay gap, but noted: "We have a lot of job titles and that can hide a multiple of sins, which make these things hard to manage and hard to do." Richards said that where you have less clarity about roles and pay, historically the people who have shouted the loudest have been paid the most. However, she added: "There is an intelligent conversation to be had about how my pay stacked up with my colleagues, who do you think my peer group is." Looking ahead, Graff warned that while equality and inclusion can feel like a "nice to have", over the next two years it will be a survival issue: "The companies on the front foot on this will win out." It's a sentiment echoed by Richards, who added that some of these issues are of far greater importance to the generation coming through, because and they won’t tolerate inequality. However, she emphasised that it is not the responsibility of the next generation to solve the issue. "It is for our generation to change," she stressed.